Dietary fat has been blamed as the cause of obesity, heart disease and diabetes for the past 40 years, but many medical experts say a high-fat, low-carb ketogenic diet promotes rapid weight loss and optimal health. What's more, they say a high-fat diet helps people maintain their weight loss long-term — something the vast majority of diets cannot claim. "I tell my patients not to fear the fat, " Dr. Eric Westman told CBN. "Eat lots of fat. Fat makes you feel full. There's no problem with fat. In fact, saturated fat, the fat that we've been taught not to eat, raises your good cholesterol best of all the foods you can eat." Westman, an obesity expert who oversees the Duke University Lifestyle Medicine Clinic, said his patients experience dramatic weight loss on a ketogenic diet, which is a high-fat, moderate-protein, low-carb eating plan. Dr. Jeff Volek's the Art and Science of Low Carbohydrate Living and Dr. David Perlmutter's Grain Brain also details the health benefits of LCHF diets in their books. Westman said one patient, a 51-year-old woman named Lynne Daniel Ivey, lost 185 pounds on the ketogenic diet. The 5-foot-4 Ivey, who once tipped thee scales at 324 pounds, slimmed down to 139 pounds by eating a high-fat, low-carb diet. Most people experience dramatic weight loss on a high-fat diet without exercise. But Westman says rapid weight loss isn't the only benefit of a ketogenic diet, which has been found effective in treating epilepsy, reverses type 2 diabetes, and preventing heart disease. New research indicates the low-carb, high-fat ketogenic diet fights depression and bipolar disorder. 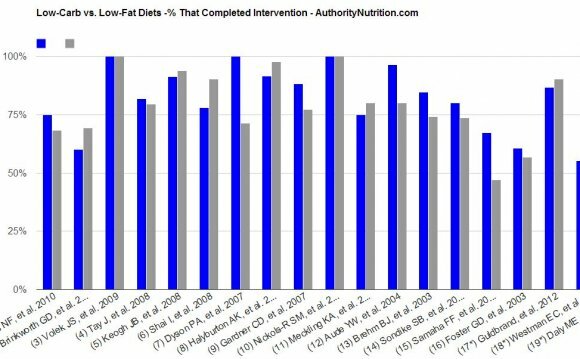 In fact, Dr. Westman said people who follow a high-fat ketogenic diet experience improved health across the board. "Here at Duke, we use mainly the low-carbohydrate, ketogenic diet to treat diabetes and obesity, " he said. Hypertension gets better, heartburn gets better, fatty liver. The list goes on and on." The 5-foot-4 Amanda, who declined to give her last name, slimmed down from 222 pounds to 134 pounds on a high-fat, moderate-protein, low-carb diet. She lost the weight between July 2011 and July 2012 and has since kept it off.